Keep your head in the race when temperatures rise with the men’s NB Ice Singlet. With sweat-activated technology to help keep you cool and dry, this is your secret race weapon. The competition is heating up, but you’ll stay cool in the men’s NB Ice Singlet. 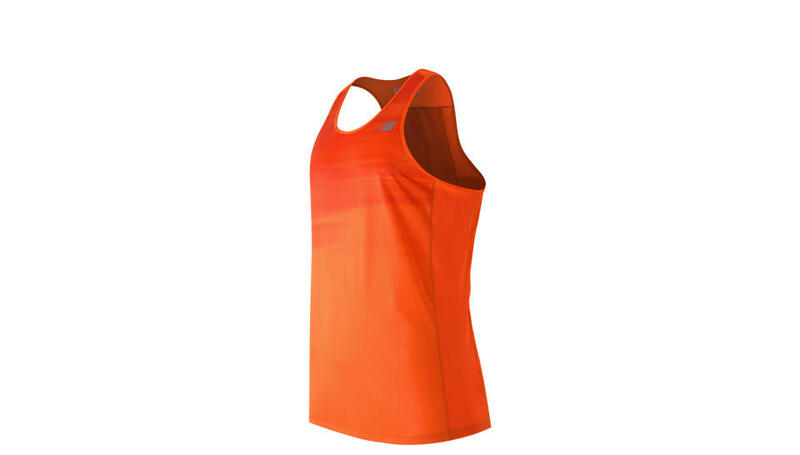 With sweat-activated technology to help keep you cool and dry throughout the race, this singlet also features odor resistant properties.